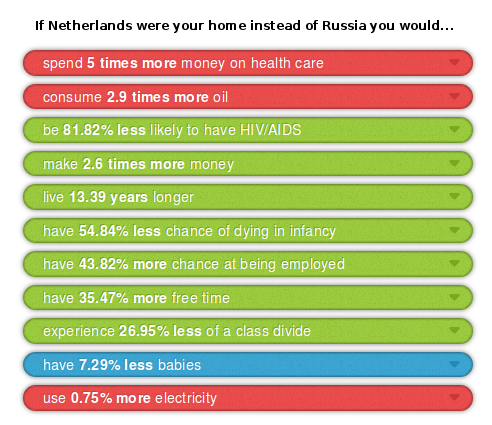 Health care is indeed expensive here, but you don't want to experience Russian healthcare. I'm not concerned about oil altogether. As for the babies, they're very likely to live in the same country, at least until their majority, aren't they?